This is an exquisite display of private collection of the art pieces belonging to various Balinese, Javanese and foreign artists. The art pieces reflect the culture of Indonesia and the stories revolving around every collectible will enthrall you. The surrounding gardens and lily ponds add to the allure of the place. English boards to guide through the museum are available. Resort and cafe is available. Performances are held in the evenings. How popular is Agung Rai Museum Of Art? People normally club together Setia Darma House Of Mask And Puppets and Legong Of Mahabrata Epic while planning their visit to Agung Rai Museum Of Art. Some very nice and interesting works, however they are not well looked after, no staff at all in the galleries, no aircon or dehumidifier and on many of the works you can see mould, dust, dirt, cobwebs. 100k is too expensive for the ticket especially when they don't seem to be spending it on looking after the art . Also the 'free drink' you apparently get with your ticket is limited to coffee or black tea, if you don't drink either of those you don't get anything, not very hospitable. It was a rainy afternoon and in two hours there I saw a total of 4 other visitors. They should greatly reduce the price to receive more visitors. 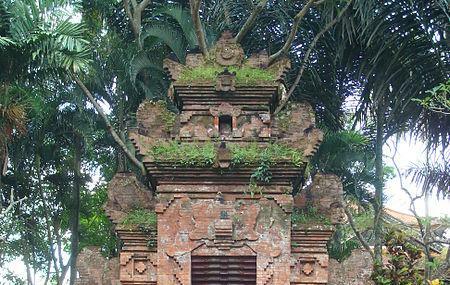 Stunning museum housed across a couple of building within a traditional Balinese estate. The works of art are an impressive display and explanation of Indonesian and Balinese culture and traditions. Coffee/tea break included in the serene garden restaurant. Amazing museum! Check it out. Tickets are 100k with a free coffee thrown in (redeem it at the restaurant). I’d say you could spend at least an hour here looking through all the artwork and exploring the grounds. Was time well spent. Is a sprawling property which incl the resort and the art collection of Agung Rai. Excellent way to spend 2-3 hours or book a villa, while in Ubud.